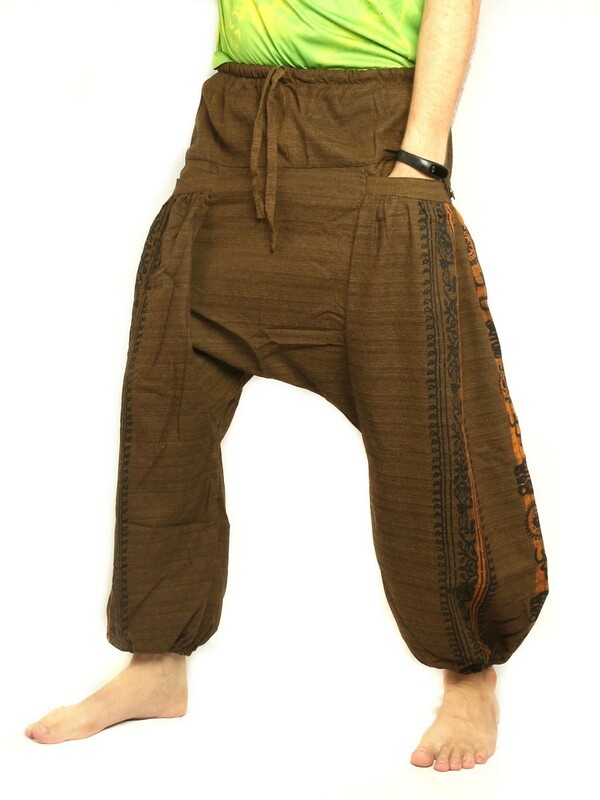 &#9989; Harem baggy pants with elasticated drawcord waist and ankles. 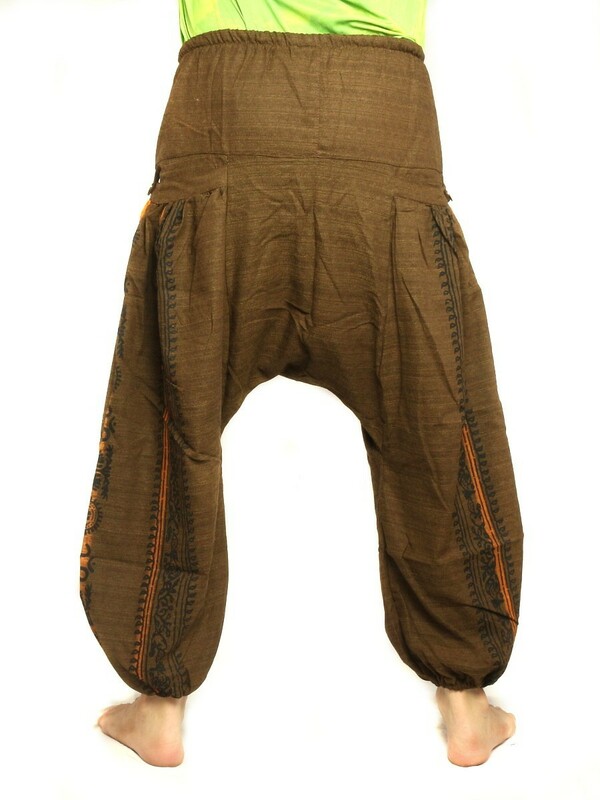 Pants features highlighted cultural ethnic durable prin. ✅ Great for every occasion where loose fit is a must. 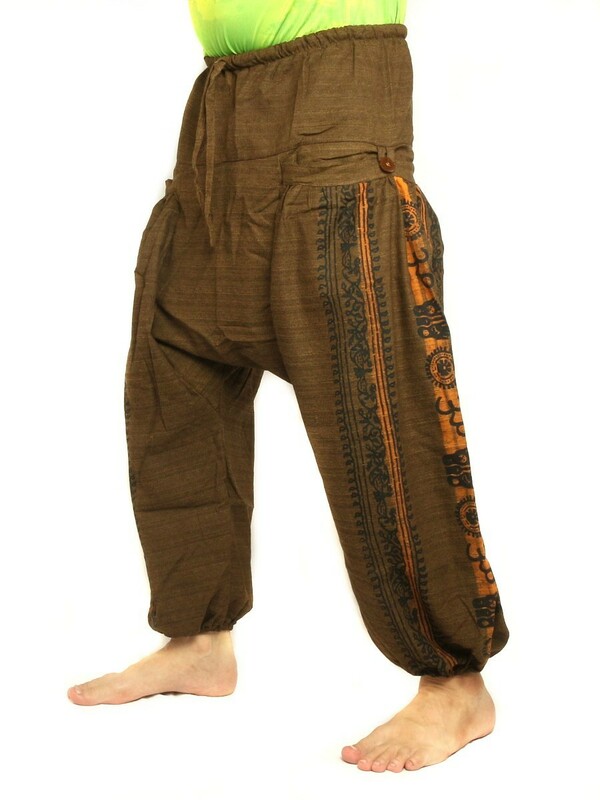 Made in Thailand with LoveHarem baggy aladdin pants drawcord string and elastic ankles for those who love freedom and the simple way of liveFor reference: Model on picture is about 5 feet 9 tall but pants is suitabable smaller persons, too.Please compare the inseam and other measurements with a pants you already own.Excellent for times when loose fit and comfortable is a must.Ideal as: ✅ casual pants✅ comfy summer pants✅ belly dance ✅ leisure wearYour perfect companion for✅ festivals and concerts✅ backpacking✅ beach bumming✅ loungingCare instructions:Wash separately and cold for the first time then machine wash delicate cycle or hand wash and hang dry.Attention:Slight color variations are possible due to different screen settings.